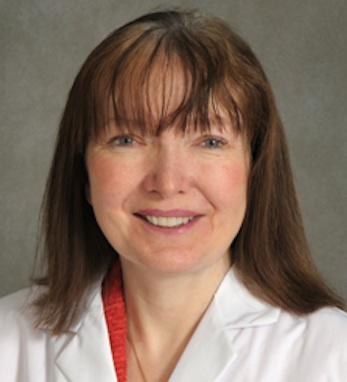 Patricia K. Coyle, M.D., is known internationally for her expertise in Multiple Sclerosis (MS), neuroimmunology, and neurological infectious disease (in particular Lyme disease). She has written numerous articles on these topics. With June Halper, she co-authored the book Living with Progressive Multiple Sclerosis: Overcoming Challenges. Her research has been supported by the National Institutes of Health and other organizations. In addition to lecturing around the country on neurological topics, Dr. Coyle has a busy clinical and research practice, and also maintains a research laboratory. She is a professor and acting chair of neurology and the director of the Multiple Sclerosis Comprehensive Care Center at the Stony Brook University Medical Center, Stony Brook, New York. Currently, she is involved in many therapeutic trials testing new immunotherapies for MS, as well as studies addressing neurological aspects of Lyme disease. Coyle received a BS degree with highest honors from Fordham University, Bronx, New York, and got her medical training at the Johns Hopkins School of Medicine. Dr. Coyle, the oldest of six children, grew up in a lively Irish household (lots of parties and cousins) in the Bronx. All four of her grandparents emigrated from Ireland and she has roots in Counties Donegal, Leitrim and Clare. Family names include Coyle and Dowd on her father’s side, and Conboy and Tuohy on her mother’s. Grandmother Kate Tuohy lived with the family in their five-room apartment throughout Coyle’s childhood, and Coyle told Irish America that she remembers her as “a strong, dominant force.” She also recalled to Irish America that among the many pets that she and her siblings had, a favorite was a pet parakeet named Michael who used to mimic her grandmother’s Irish accent as he flew freely about.